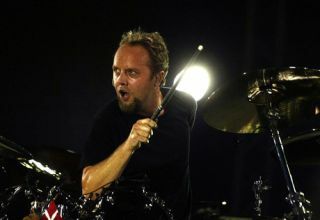 Lars Ulrich has spoken about his latest career move - into the world of acting. The Metallica drummer appears as himself in new Russell Brand comedy Get Him To The Greek and it sounds like he had an absolute blast. The excitable sticksman told the Artisan News Service all about his foray as a thespian and you can see what he had to say in the video below. You can also check out Lars' acting talents in the clip.